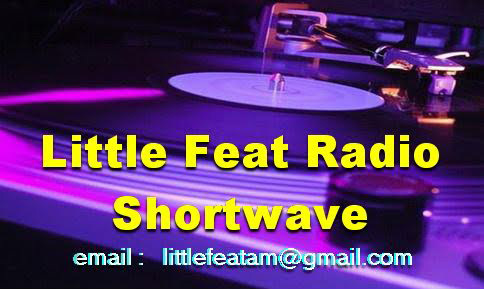 It may seem a strange title for a heading, but isn't that what we short wave listeners are supposed to do? It occurred to me as I was tuning around the bands yesterday that I certainly am guilty of collecting as many different stations as I can as quickly as possible. Now that may be a side issue of running a blog such as this, but I resolved to spend a little more time pushing the MEMORY button on a frequency and actually listening to the station. Most free radio stations put a considerable amount of money, time and effort into their equipment and produce a really good show and deserve a little more respect than being listened to for 30 seconds! So yesterday I listened to Radio Montferland on 6290 until the signal faded away almost completely and stayed put for a good time on 6330 with Zender Zodiac. Both stations played good entertaining music and produced an enjoyable show. I did quickly flit around the bands to see what was going on, but returned to the station I had in memory. I will try and carry on listening!! I checked with last year's logs and it seems that generally the band is closing earlier (for short & medium skip) than at this time last year. Maybe it is because of lower Sunspot numbers, but I do not know for certain. The Inverted V antenna has been re-erected outside. Depending on direction and conditions, it can improve some signals by 20db or more on the receiver. Good to hear some strong signals on the band for a change! Some weak signals were heard on 6300 and a signal on 6380, but no IDs. The lack of an antenna outside is not helping, but other Blogs are not reporting many stations either. The weather forecast predicts strong, maybe damaging winds over the next two days, so I have taken down the outdoors antenna; I suspect many stations in NL and the UK will do likewise. 6298 @ 1322 Misti - 34333; The Rolling Stones & "It's Only Rock N Roll"
L'Union Européenne est profondément choquée et en deuil après les attaques terroristes de Paris. Il s'agit d'une attaque contre nous tous. Nous ferons face à cette menace ensemble, avec tous les moyens nécessaires et une détermination sans faille. La France est une grande et forte nation. Ses valeurs de liberté, d'égalité et de fraternité ont inspiré et continuent d'inspirer l'Union Européenne. Aujourd'hui nous sommes unis avec le peuple français et le gouvernement de la France. Cet acte terroriste méprisable atteindra l'objectif inverse de celui qui était recherché et qui était de diviser, de faire peur et de semer la haine. Le bien est plus fort que le mal. Tout ce qui peut être fait au niveau européen pour assurer la sécurité de la France sera fait. Nous ferons ce qui est nécessaire pour vaincre l'extrémisme, le terrorisme et la haine. Nous, les Européens, nous nous souviendrons tous du 13 novembre 2015 comme d'un jour de deuil européen. Tous les Européens sont invités à se joindre à une minute de silence en mémoire des victimes à midi le lundi 16 novembre. 6300 @ 1636 Anthony - 24222; Dance music, stronger at first, then signal got weaker, ID via Chat, signal then disappeared but was still on Twente SDR! I have had quite a few emails from readers of the Blog asking about the current service status of "iann's pirate radio chat" as they were unable to log in. The advice from Iann is to go to: xat.com/pirateradio2011 and then onto iann's website. I can get in using Windows 10 and the Opera browser. You get to know some operators very well on the Pirate Chat through chatting regularly. Zeewolf has been helpful and offered good, informative advice over the last few years. 48 metres closed for short skip a little later this evening, around 1725 UTC. 6180 @ 1149 Python - 35433; Strong QSB, ID in Dutch, greetings to me, Al Stewart & "Year Of The Cat"
The K index was lower today giving some good conditions for a while on 48 metres. The band closed here at 1657 UTC for short skip. The A index was at minor storm level. We shall see what happens next! I have just been reading the blog "MW Free Radio" where MW Pirate Fan relates that he heard the Vrolijke Mijnwerker QSOing with a Greek station on Tuesday evening (3rd November). At that time I was driving (around 2140 UTC) and I had tuned the car radio to 1620 and I also heard all the details mentioned! In particular, the QSO in German and both the radio signals from the Happy Miner and the Greek pirate. Both stations were clear, but VM was stronger. Thanks for clearing up exactly what was going on; I really enjoyed listening and previously I did not realise how good the car radio was at receiving free radio on MW. I was in a hotel room at Blackpool (NW England) at the time. The 48m band closed around 1905 UTC here for short skip. Pirate listeners like to receive QSL cards! Have you received a great QSL lately? A nice personal letter from the station operator or a fully detailed QSL with a nice design? 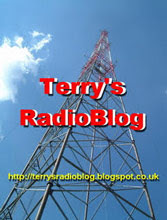 Do you want to say thank you to a station that has been replying to dx-ers for decades? Or do you want to show your appreciation for a station that always replies quickly? The purpose of the annual QSL award is to encourage stations to issue verifications for listener reports, whether by email or post. Send an email to qslaward@gmail.com with your nomination before March 15th 2016. Tell us why your chosen station is a worthy QSL award winner. A jury of dx-ers will adjudicate the nominations and choose a winner. The first QSL Award will be presented at the Summer Meeting 2016 in the Netherlands. The prize, a handcrafted Swedish made crystal vase is guaranteed to be a welcome addition to any radio shack or studio! If the winning station cannot attend the Summer Meeting, the prize will be sent in the post. The goal of the organisers is to make the Award an annual competition. They see it as a good way to say thank you to stations for communicating with their listeners.